While other kids played sports, Steven Spielberg was writing scripts and figuring out camera angles. He went from entertaining his Boy Scout troop with home movies to amazing audiences around the world with epic blockbusters. He has directed four of the most successful films of all time and has won two Academy Awards for Best Director. 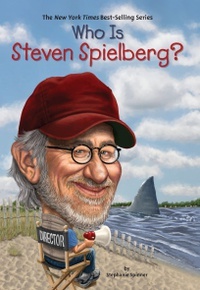 From Jaws to Lincoln, young readers and aspiring filmmakers will be fascinated by the life of this famous director.